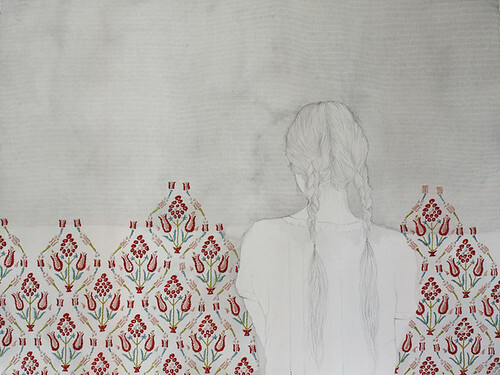 Izziyana Suhaimi is a Singapore artist with a Bachelor of Fine of Arts degree in Photography. While attending school the passion for embroidery seeded with a school assignment to take an 'image' and interpret it in different ways. 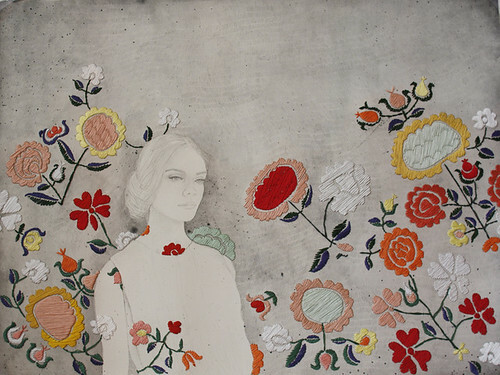 "I thought embroidery would lend a nice texture and focus onto certain parts of the image. 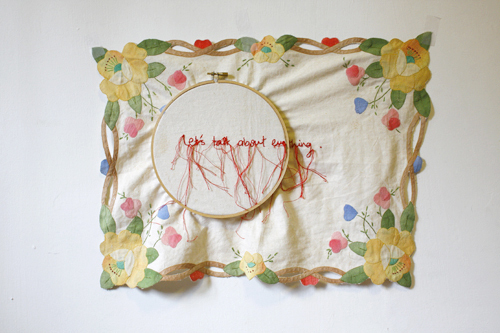 I really enjoyed the process of using embroidery and began to incorporate it more and more into my other projects." 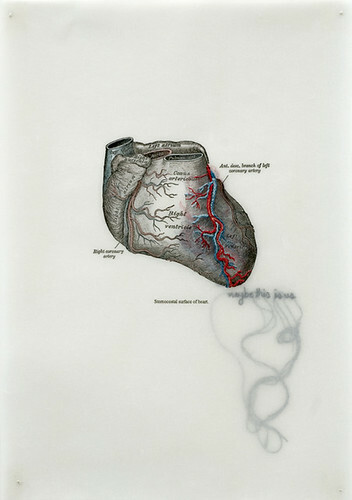 For the project Izziyana found medical illustrations and added embroidery to them. "I thought it lent a more poetic slant towards the image". This was about seven years ago now. 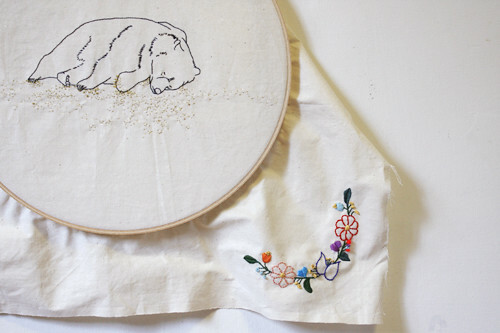 When Izziyana started to embroider she did follow some patterns but she also made many up on her own. Starting with text. She learned and still learns to embroider by watching video tutorials online. 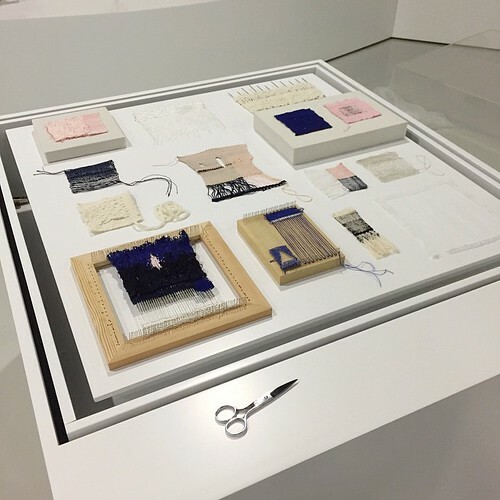 For inspiration Izziyana looks to the book Hand Stitch Perspectives by Alice Kettle and Jane McKeating, a compilation of hand stitched textiles, artist biographies and the impact of stitching. Let's talk about everything. 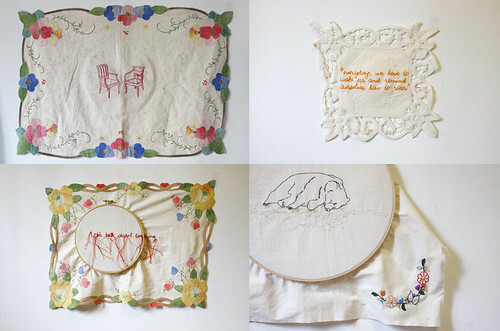 Embroidered text and images onto found tablecloths. Friends to keep you warm. 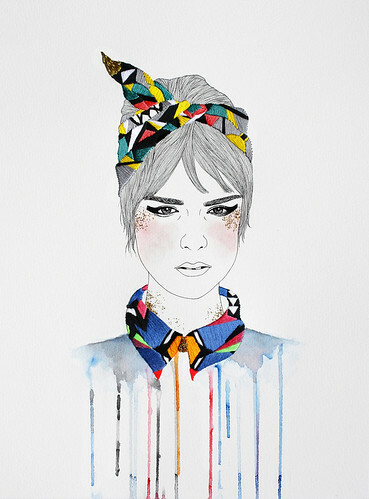 Fashion illustrations with water color and embroidered clothing accents. The looms in our bones. 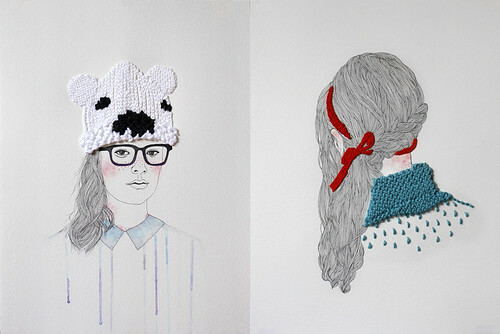 Female portrait illustrations with traditional embroidery. You'll be as surprised as I am to know that Izziyana has only started to draw illustrations for the past few years. She still enjoys taking photographs but more for personal keepsakes. When I first started interviewing her I had asked if she had 'dabbled in any other arts and crafts'. She stated she had tried knitting but could never finish anything and really wanted to try weaving. I am happy to say that since then she has taken up weaving. Her first weaving exhibit was called Small Studies of an Everyday Practice. I'm excited to see where she takes her art next!